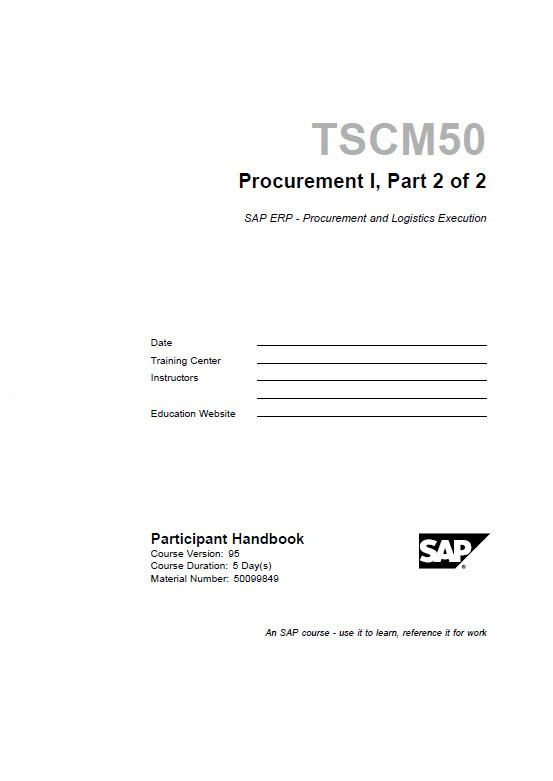 SAP Certified Application Associate – Procurement with SAP ERP 6.0 EHP6 (exam code C_TSCM52_66) is part of the SAP Supply Chain Management (SCM) direct procurement curriculum, which provides the tools and techniques to optimize processes such as purchasing, inventory management, invoice verification, external procurement, services, pricing, forecasting, reporting, cross applications and customizations. Since it is based on EHP6, the latest Enhancement Package currently available for SAP ERP Central Component (ECC) 6.0, it includes all the latest improvements and innovations. Indicatively, new business functions have been introduced in order to meet business requirements in the Materials Management component, such as Procurement Process for Commodities, External Release for Purchase Requisition and Self-Service Procurement. Content from all the previous Enhancement Packages of SAP ECC 6.0 has been incorporated in the C_TSCM52_66 exam. The direct links for the release notes of each EHP version (for Materials Management), are: EHP1 (core), EHP2, EHP3, EHP4, EHP5, EHP6. SAP recommends “combining education courses and hands-on experience to prepare for your certification exam as questions will test your ability to apply the knowledge you have gained in training“. The duration of the exam is 180 minutes and it consists of 80 questions. According to the introductory screen of the exam, the passing score is 59% and the answer given to each question should be totally correct in order to get the marks, even in the case of multiple-answer or fill-in-the-blanks questions. Information on negative scoring is not included though (but I assume it does not apply). The scheduled exam dates are update regularly on the exam‘s page. The areas covered at exam are listed below. The “+” (plus) sign, next to the topic, refers to less than 8% weighting, while the “++” (double plus) sign refers to 8-12% weighting. This can be translated to around 14 and 18 questions, respectively, out of 180 in total. Some broader knowledge on SAP, SAP ERP, SAP Solution Manager and ASAP methodology is also required, which is also part of the official training material. The 4 core books, of the primary way to attain, are listed below. Up until now, 095 is the latest version and the C_TSCM52_66 exam has the same version of books with the (older) C_TSCM52_65 exam, which is based on EHP5. These 4 books (version 095) include a total of 174 questions distributed among 28 units/chapters, which are more than enough to prepare for the exam. In addition, for anyone interested, sample questions for the C_TSCM52_66 exam can be found here. As regards to the SAP IDES system, which complements SAP Training programs, according to SAP Notes 1761605 and 799639, the installation package for IDES ECC 6.0 EHP6 was released just recently (Q4 2012). 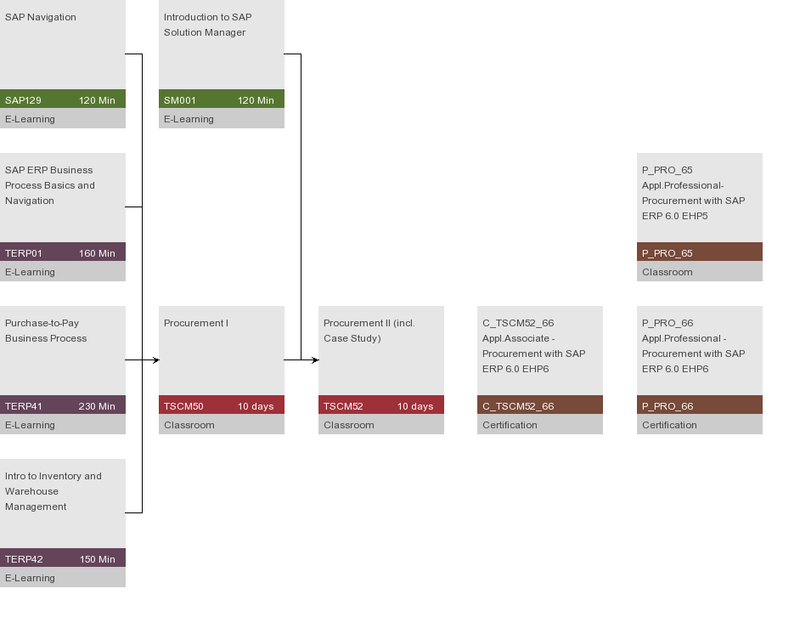 Frequently asked questions (FAQ) concerning several areas of SAP Training, can be found here. I wish good luck to any individual who is interested in sitting for the exam!